Our Bloodborne guide does not shy away from optional challenges, but after you see Amygdala I think you’ll agree this was worth the visit. This battle awards you a new Chalice, so if you don’t want to bother go ahead and skip it, but don’t you want the chance to take down one of the nasty creatures that have been opening portals around you? This is one of those battles which can be pretty easy if you have decent range and speed, so prepare your arsenal accordingly. You can flick between several targets on Amygdala, and it’s the arms and head you want to hit – you can see why a bit of reach on your weapon is useful. Amygdala has a number of moves, including an area of effect attack, a jump it performs if you approach its feet, and multiple melee slashes. If you get into position under its arms, but to one side of Amygdala, you’ll be out of range of all of these and can attack the arms with ease using a longer weapon like the Threaded Cane. The only moves you need to watch for are the slashing attacks made with the arms themselves, and a laser projectile. The latter is easy to dodge, and leaves Amygdala’s head briefly accessible for a few bonus smacks. About half way through the battle things get considerably more dangerous, as Amygdala will rip off some of its arms to batter you with. Try not to laugh too hard at this juncture; the extended reach is not to be sneezed at. Still, if you stick to the armpits you’ll be okay. The laser gets bigger too, but just dodge it the same way. When this laughable “Giant Being” is dead, you’ll receive the Ailing Loran Chalice and can head up the stairs to activate the Amygdala’s Chamber Lantern. We’re getting very close to the end of the game now; head on through to Nightmare of Mensis. 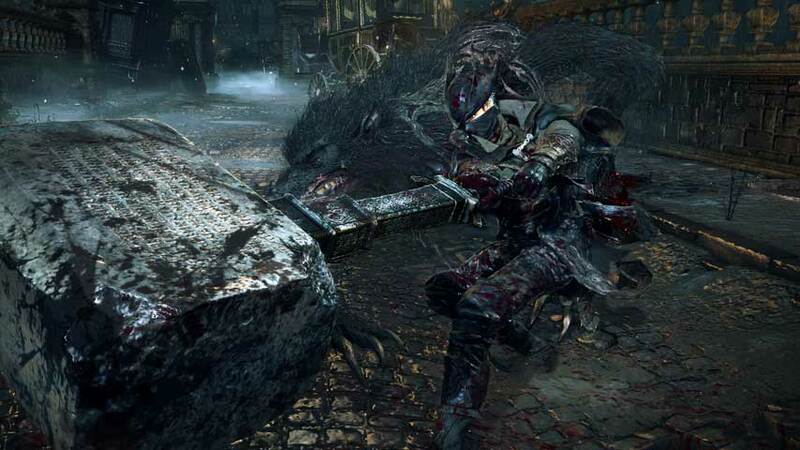 Back to Bloodborne guide and walkthrough.